Every caregiver struggles with the issue of travel. No, I don’t mean traveling WITH the person for whom you care, although that can certainly be a struggle. I mean leaving the person for whom you care, while you travel. There are the inevitable questions. Whom do I leave in charge while I am gone? Will they do a good enough job? Will they follow all the lists and instructions I leave? How will mom act while I am gone? Will she be angry and obstinate or easy to please? What if something happens while I am gone? So what happens most of the time as you struggle with these questions? You just don’t go. This spring I was offered a golden opportunity to travel abroad in July. The trip will involve a conference that will help me in my work as well as the chance to meet up with family members and tour a European country. We will be gone 12 days. It’s not like I never leave. I was gone just a couple of weeks ago for 4 days. Two years ago I went to England for 8 days. So, it will be fine this time, right? I actually have two geriatric individuals in my life. My mother…and don’t laugh…my horse. My horse is 30 years old. Yes, that is old for a horse. But until this summer he has been just fine! I always joked that he didn’t know how old he was , so I was not going to tell him. But this summer things are different. The boarding barn where he had lived for the past ten years experienced some drama this spring, so many of us boarders were forced to move. My boy and I were lucky to find a new barn rather quickly and began to settle in. My guy does have some special needs. He sustained an injury when he was a young and rowdy horse that caused some nerve damage. Because of that he eats a bit funny…and he is very messy when he eats. But he has a great personality and as his mom I try to clean up his mess whenever I am at the barn. His previous barn owner did not mind. She thought he was quite cute. He also is a very social guy and was lucky to have his own little “yard” outside his stall. So he was free to go in and out, walk around in his yard, and visit with the other horses that were turned out in the “yards” adjacent to his. He had one pal in particular, in the yard next door, that had been his buddy for the past ten years. And then we had to move. The new place was lovely. But my boy had to be kept in a stall with no “yard”. He was turned out to play once each day, but it was not like the old days when he could come and go as he pleased. And the guy next door was a bit “nippy”. He would often try to reach over and bite my boy. Being such a friendly sort, my boy was a bit taken aback each time it happened. And then we had to move again. These barn owners said my boy was too messy for them. So, we found another spot…and I FULLY EXPLAINED my boy’s messy habits before we moved. They said, “It’s fine. He’s a horse!” So, a couple of weeks ago, we moved again and are trying to settle in. Older folks don’t like change. That happens with horses too. My boy seems stressed with all this moving around. He has lost a lot of weight and is just not his usual jolly and friendly self. We had a vet visit and he is now on supplemental feed that should help with the weight , and the vet prescribed some gastric medicine. Yes, when stressed, horses will get an ulcer and that could be contributing to the weight loss. These new barn owners are very nice. They are attentive and insist they want to give us a great barn experience since we have had a bit of barn hassle this lately. And as fate would have it, my boy’s former neighbor arrived last week!! He and his pal are getting turned out to play daily and they seem very happy to see each other. So, maybe we are on the mend and truly settling in. But I lay awake at night thinking of all the things that could happen while I am gone. My boy could get sicker. My mom could fall. Or worse yet, one of them might… And then I sit up in bed and turn on the light. So, if that does happen, what would I do? Come home, right? It’s a plane ride for several hours, but I would just come home. I am NOT going to the moon, just another country. And I have people who are on hand to check in and assist. I am not leaving either my mom or my horse totally alone! I deserve some time off, right? I always tell caregivers it is important to take time to enjoy life, to do things for themselves. And my husband deserves a lovely trip with me, right? And someday I will be “old” and cannot travel, so I should do it now, while I can, right?? Right. Ah, but the caregiver guilt and worry can be overwhelming. So I have made copious notes for all. My sister and my son will be looking in on my mom. The “mommy” of my horse’s pal will look in on him and give him some extra love and extra treats. And the new barn owners assure me ” they got this”. My vet is aware and tells me he thinks we are on the right track and my boy will be fine. And I have the international plan on my phone, so I am accesssible to all. So, off I go later this week. I am sure I will relax once the plane takes off. I have done all I know to do – made lists, given clear instruction, and everyone knows how to reach me. This truly is a golden opportunity and sometimes you just gotta go. But I am packing my own ulcer meds. This knot in my stomach is up to no good. 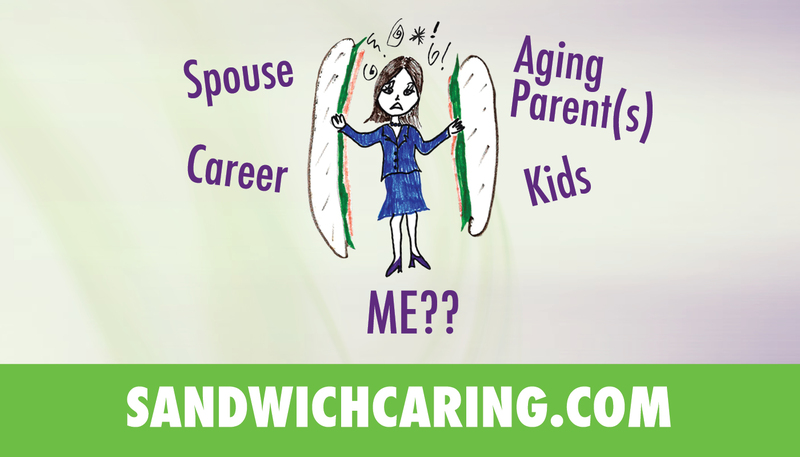 This entry was posted in caregiving, life challenges, parents, planning for the future, sandwichcaring, Uncategorized on June 30, 2014 by janestory.